The All-New VF90 In-Line Four V MAX SHO. A single-overhead-camshaft design with four valves per cylinder and 1.8-liter displacement make the I-4 V MAX SHO 90 a class leader in torque, top speed and efficiency. But it’s not only the fastest—it’s the quietest, too. * That makes for some pretty stealthy fishing. Shaft Length: L = 20"
*Testing conducted by Yamaha at Yamaha’s US Test Facility on a G3 Eagle Talon™ under the same conditions and with each rigged for maximum performance. 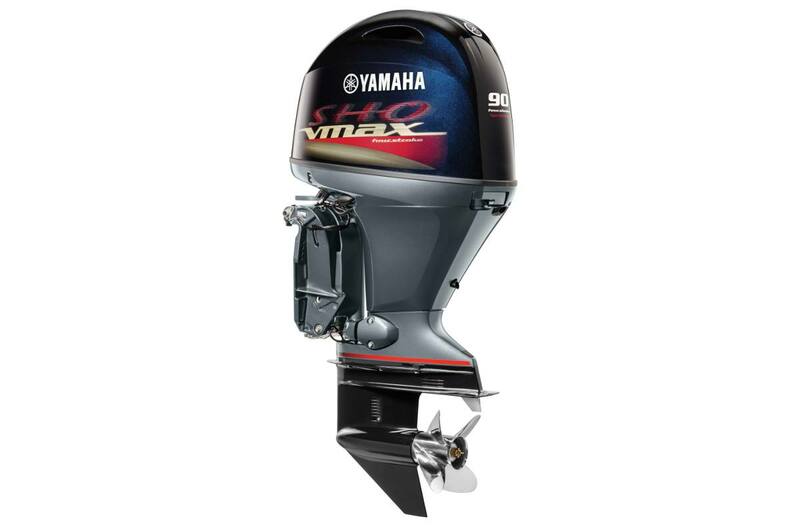 Weight refers to shortest shaft length, and is measured without motor oil, gearcase oil and propeller (except models 25 hp and under, which include a standard propeller). All Jet model weights include the jet pump assembly (weight estimated).